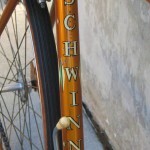 “The finest sports equipment you’ve ever seen. 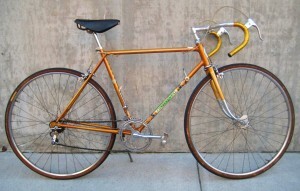 The first really new bicycle in years. 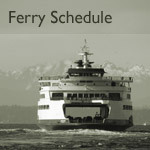 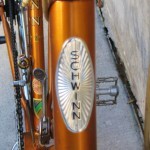 Rides so smoothly, so fast, so responsively, that you’ll have to ride it to believe it. 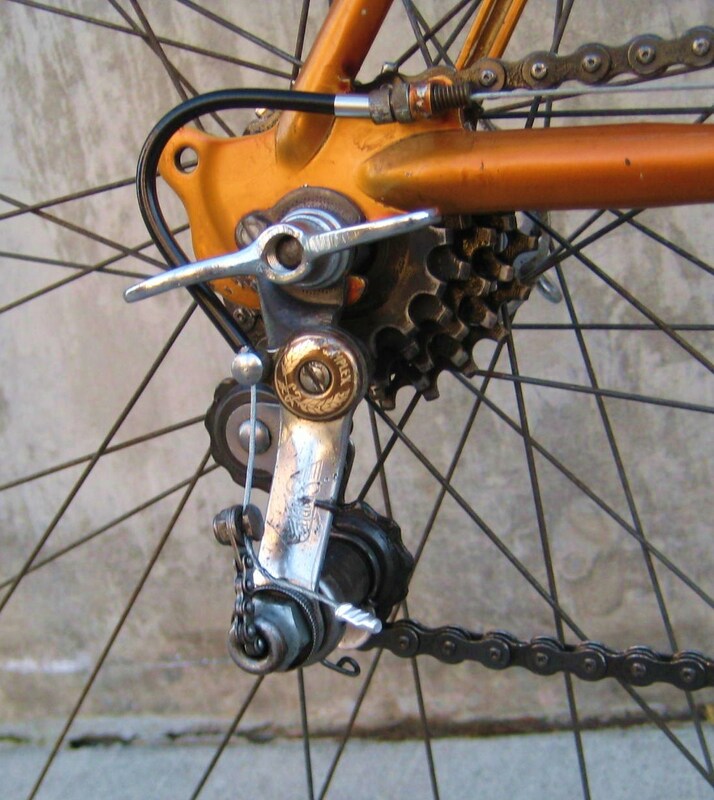 Smooth action gear shift gives you 10 gear combinations for every riding situation.” Only 86.95 with easy terms! 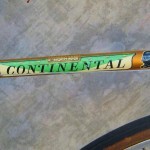 Yep, the new Continental was pretty sweet. 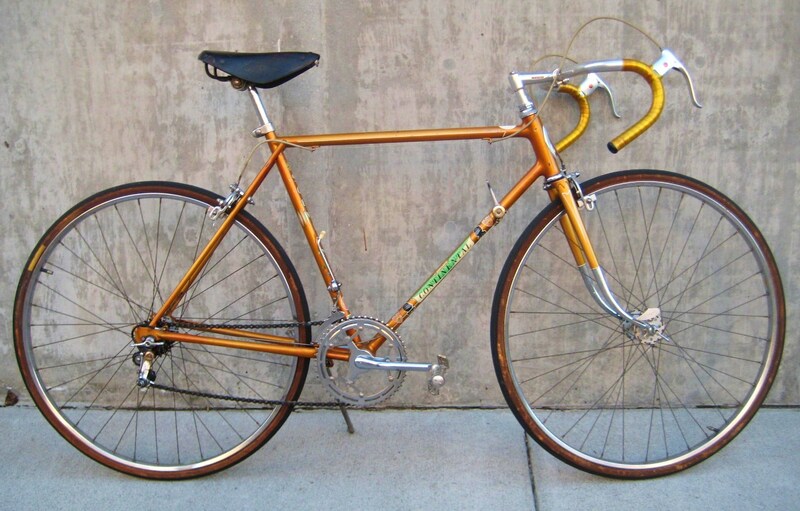 A great bike for just under 690 of today’s inflation-adjusted dollars. 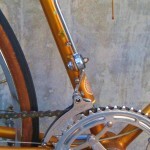 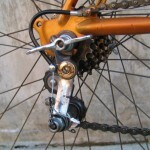 A simplex Tour de France model rear derailleur managed five gears on the back wheel, while the Simplex Competition lever-style derailleur managed two chainrings up front. 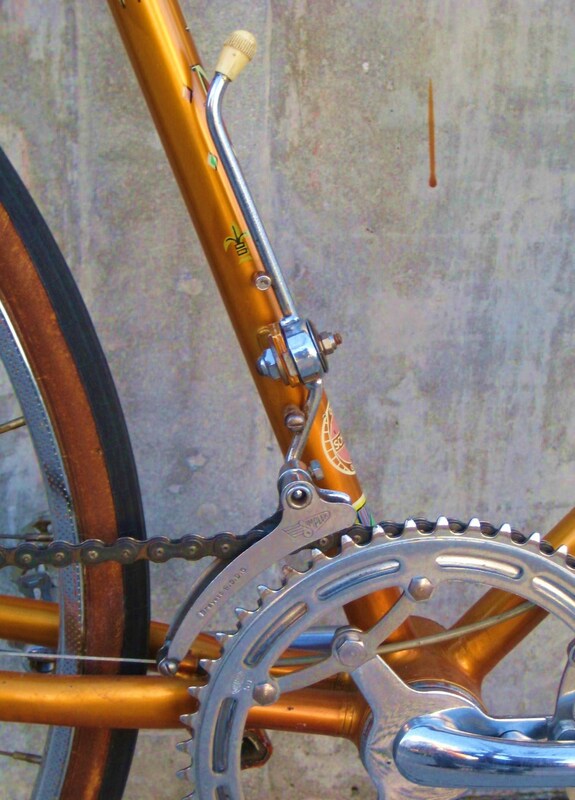 Classy touches were found all over the bike, from the fillet brazed head tube junctions to the genuine leather saddle to the knight’s helmet decals and coat of arms. 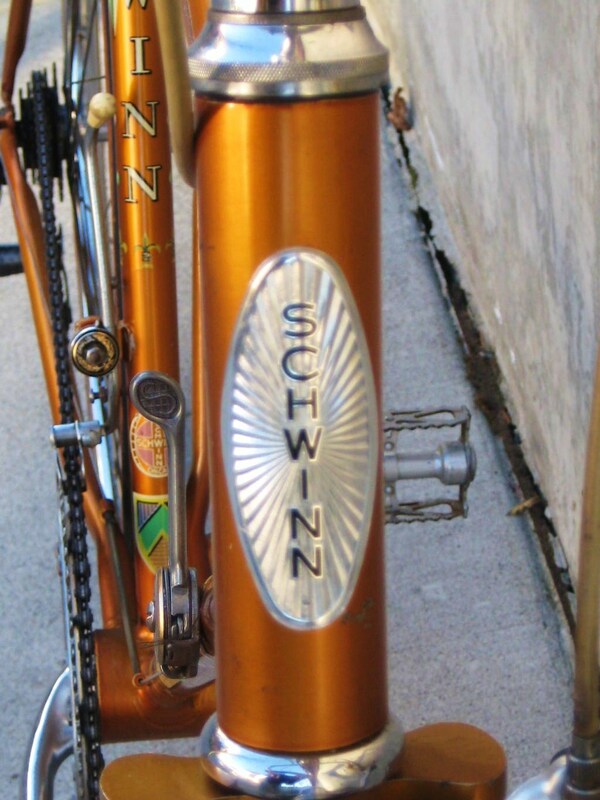 The unusual Schwinn head tube badge looks extra radiant (goes well with the ”radiant coppertone” paint) with a thick plastic crystal covering the lettering. 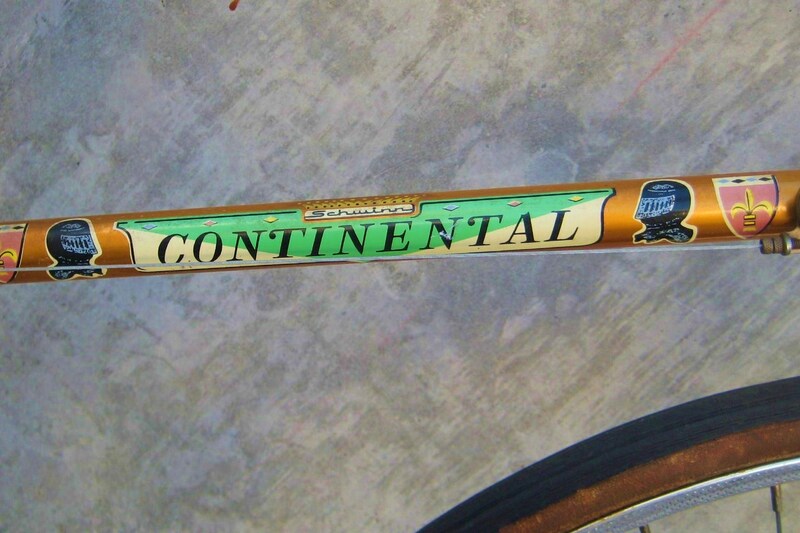 While there is a lot of nostalgia surrounding vintage Schwinns like this one, the fact of the matter is that this Continental was a beast. 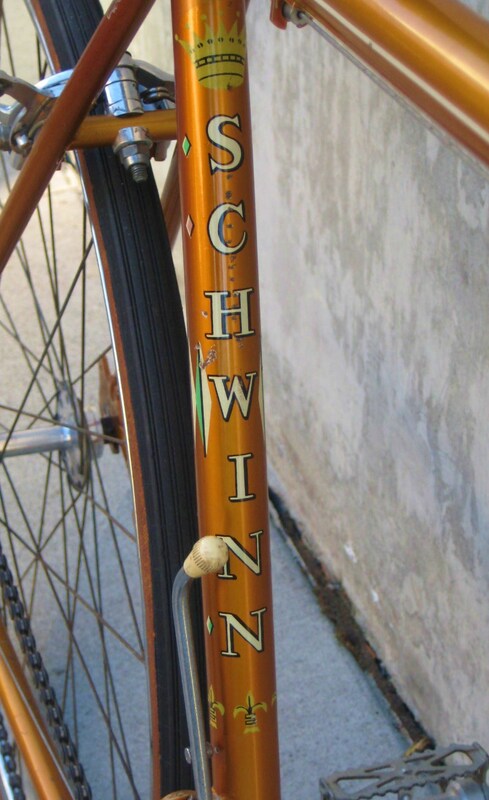 Regardless of Schwinn’s sales pitch, a real racing bike from the same year would have been smoother (with tubular tires), faster (probably 10 to 15 pounds lighter), and more responsive (with a shorter wheelbase and a fork sporting much less rake).